This customer recently moved into their new home and didn’t like the dated honey oak kitchen cabinets. We did a free paint color consultation to help them find the perfect paint colors. 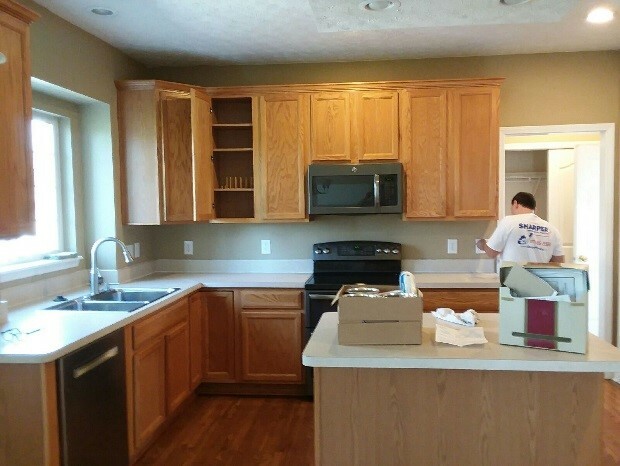 Our professional interior painters applied a glossy white paint to all the cabinets creating a brighter space. Note the flat black on the island to make the area pop! This was a six-stage painting process, but the results are well worth effort. 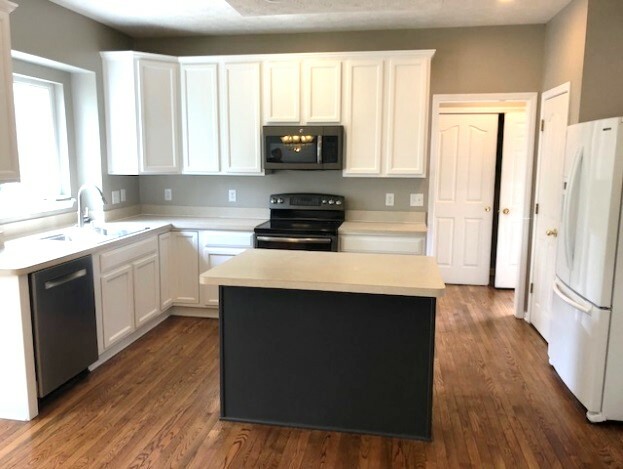 This amazing transformation cost our customer one-tenth of what new kitchen cabinets would cost!